This is another very entertaining novel from Jim Fusilli, the rock and pop music critic of the Wall Street Journal. 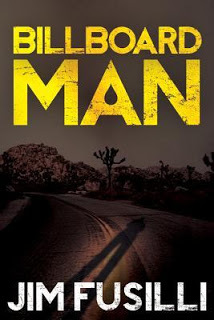 As the book opens, we meet a nameless man, or really a man of many names, who is on the road, drifting across the country and through the remnants of his shattered life. His wife has been brutally murdered; his daughter refuses to speak to him. His needs are simple and he only wants to be left alone. But in the tiny mining town of Jerome, Arizona, he buys a drink for an attractive woman and is soon entangled in a web of murder and intrigue. Leaving Arizona, the drifter makes his way to Memphis, trailed by the jealous boyfriend of the woman he bedded in Jerome. Once in Memphis, he falls for the charms of another attractive woman and soon finds himself framed for murder. The only way for the drifter to clear his name is to track down the killer himself, but as he attempts to do so, he is being tracked himself by a Wall Street power broker who is manipulating events from a distance. The mogul has plans of his own for the drifter and is not above toying with the life of the drifter's estranged daughter in order to achieve his objective. This is a taut, well-written story with a number of memorable characters. The drifter, who uses several different names through the course of the book, is an especially appealing protagonist. It takes a few chapters for the various threads of the novel to converge, but Fusilli weaves them together into a very engrossing story. Readers who have enjoyed his earlier work will certainly want to find this one.